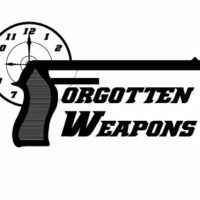 Robert Roy was a career Colt employee, who began his work as an engineer in 1963 (including work on the 1971/SSP pistols and the CMG machine gun series) and retired in 1993 as Director of International Sales. One of his side projects appears to have been experimentation into auto-ejecting revolvers. This proof of concept revolver has a gas port added to the barrel and a gas tube which vents gas directly in the 2 o’clock chamber each time the gun is fired. 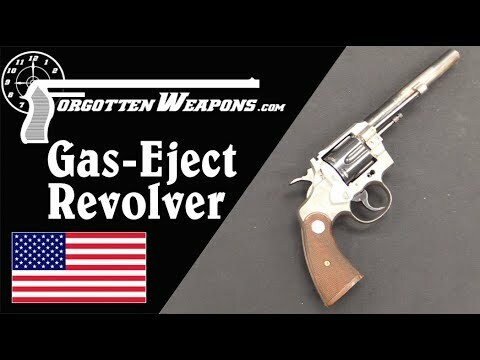 That gas blows right into the previously-fired cartridge case, ejecting it out the back of the cylinder through a spring-loaded aluminum deflector/cover. In theory, the system seems like it should work just as intended, although I have no information about how successful it was for Roy. The practical problem with such a system, however,r is that it cannot eject the final round, as the cylinder is them empty and there is no additional cartridge to provide the gas to eject the last one. Thus the cylinder must be opened and the ejector rod used to eject the final case – and there is really no difference to the shooter between manually ejecting one case and manually ejecting all six. So the added complexity doesn’t really provide a practical benefit.